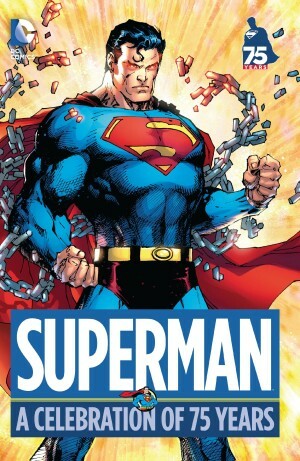 This first Superman anthology has long since been surpassed in both scope and ambition, but at the time DC editor E. Nelson Bridwell compiled a treasure trove of rare Superman material. In an era when pretty well the entire history of comics is available for download it’s difficult to understand what a nirvana this must have been in 1971. It’s among the earliest US graphic novel collections, and reprinted content already commanding high prices if the comics could be found. Ironically, there’s probably a greater chance of that today with more collectors, preservation and investors. 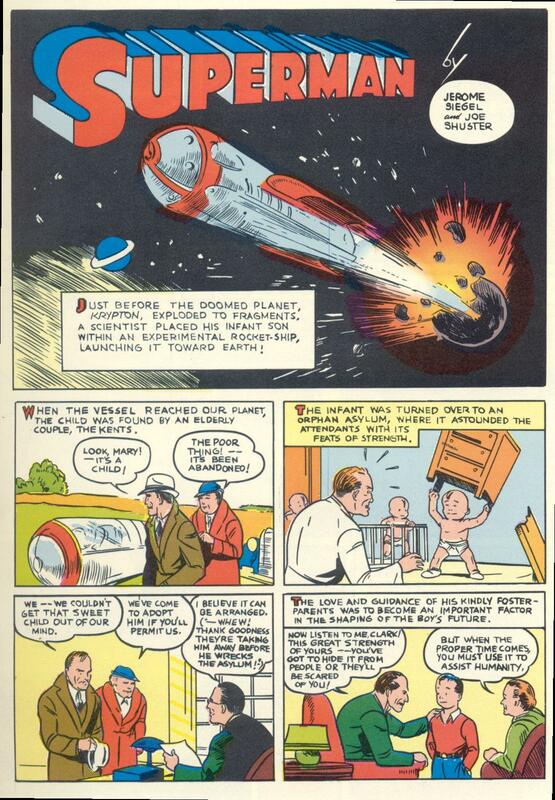 Naturally enough we begin with the two page precis of Superman’s origin produced by his creators Jerry Siegel and Joe Shuster. Over the next several strips its obvious that Superman’s originators see him as the complete crusader for justice. His implanting at a newspaper enables exposing the crooked, and as Superman he encounters a shady senator, and settles a revolution in South America. He goes on to deal with Luthor, but by now other artists are becoming involved in the strip. Paul Cassidy, Sam Citron, Leo Nowak and others imitate Shuster’s awkward style for the sake of consistency, but even at this very early stage of the character’s career it’s evident that Wayne Boring is a cut above. His tale here sees a very thinly disguised Nazi Germany attempt to take over the USA. 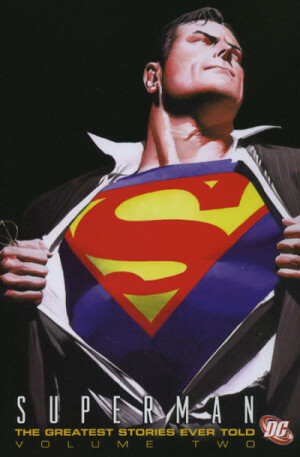 Having dealt with Dukalia, Superman also sees to the warlike nation of Napkan. 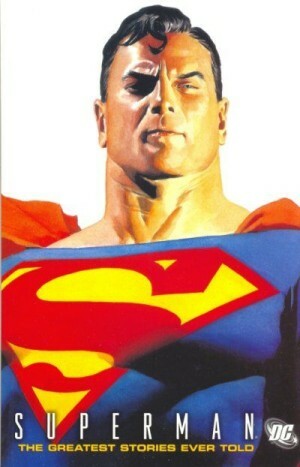 This is the Superman that leapt tall buildings in a single bound rather than the later supremely powerful version, and the stories from the 1940s introduce further topics that will see him through several decades. Here we have Luthor, a snooping Lois Lane, other dimensional imp Mr. Mxyztplk, and, eventually, the reintroduction of Krypton. The wackiest plot concerns a villain able to bring characters from newspaper strips to life, and DC aren’t above plugging the 1940s Superman cinema cartoons. The 1950s material is all drawn by Boring, Al Plastino and Curt Swan and much the better for it. Here we have more aliens, and the introduction of Lori Lemaris, Superman’s mermaid love, now long forgotten. What the writers pack into ten pages is astounding when considered from the modern era when a teaming of Luthor, the Prankster and Toyman (who meet at a funfair) would be decompressed into six issues. It’s perhaps unsurprising that it’s the 1960s strips that stand up the best, although they retain an archaic and distant quality. Almost all the samples from that era are written by Otto Binder, whose plotting skills overcame the contrivance demanded. 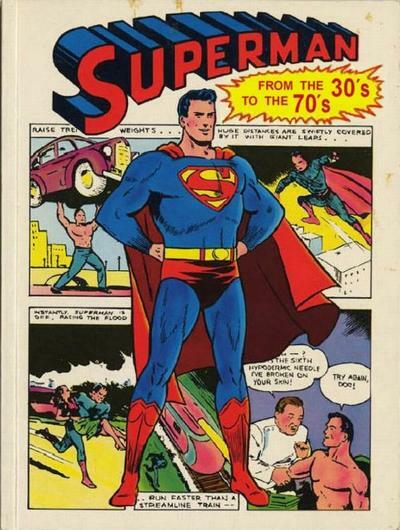 The 1970s content written by Denny O’Neil and Leo Dorfman has a Superman slightly humanised. His powers are now diminished, but green kryptonite is no longer a threat, and Swan’s been freed from the restriction of having to cram a minimum of six busy panels on a page. It showcases his talent far better. It’s presumably down to the commercial uncertainty of a book of comic strip material in 1971 that almost the entire book is presented in black and white. In all honesty it makes little difference until we reach the 1970s, when the few pages of more considered colour on more sophisticated art display what’s missing. 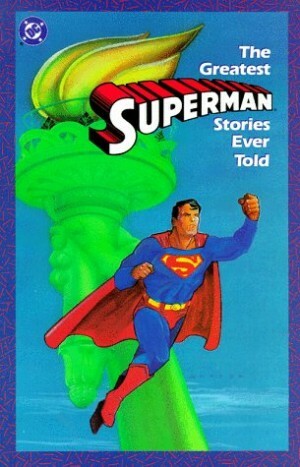 With so many alternative and more representative Superman anthologies now available does this still hold water? Not really. Those most likely to want the material won’t want it piecemeal in black and white when curated archive editions have been published. Its time has passed, although a second edition was issued in the early 1980s.